A robot run configures how a robot is executed. A run - sometimes also referred to as a "run configuration" or simply "configuration" - defines how you will execute your robot. Each robot needs at least 1 run attached to it to be able to execute. 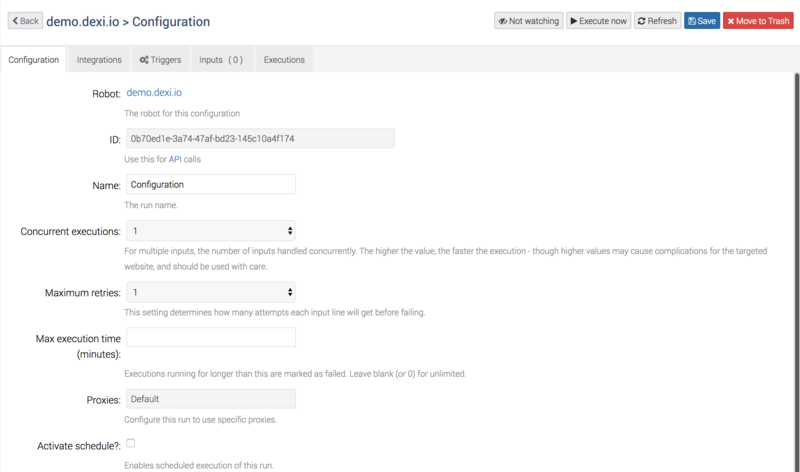 The run defines things like data inputs if any, scheduling, error handling, proxies and more. You can have as many runs per robot as you need. You create a run by selecting your robot in the Projects view - and then clicking "New run" in the sidepanel.